Welcome to the peaceful Bickley Brook Valley, just on the edge of the City, in the picturesque Perth Hills. Bickley Brook Cottage, located at the bottom of this tranquil valley overlooking the Bickley Brook, offers private and secluded accommodation, perfect for your relaxing stay. Adjoining the Banyowla Regional Park, the outlook from the cottage is to the Bickley Brook, which flows through the property during the cooler months and the rocky outcrops on the neighbouring hill. The cottage is surrounded by natural bush and is regularly visited by wild kangaroos and a variety of colourful bird life. There are numerous walking trails nearby, including the Katamoorda Hiking Trail, the Mason and Bird Heritage Trail and the Valley to Valley Hike Trail. A short drive away is the Lesmurdie Falls National Park and the Ellis Brook Valley, home of the 60 Foot Falls. Or, if you are feeling adventurous, you could hike there from the cottage. Through the late winter and spring the valley is filled with a variety of wildflowers and you will find several books in the cottage to help you identify the flowers you have seen on your walks. 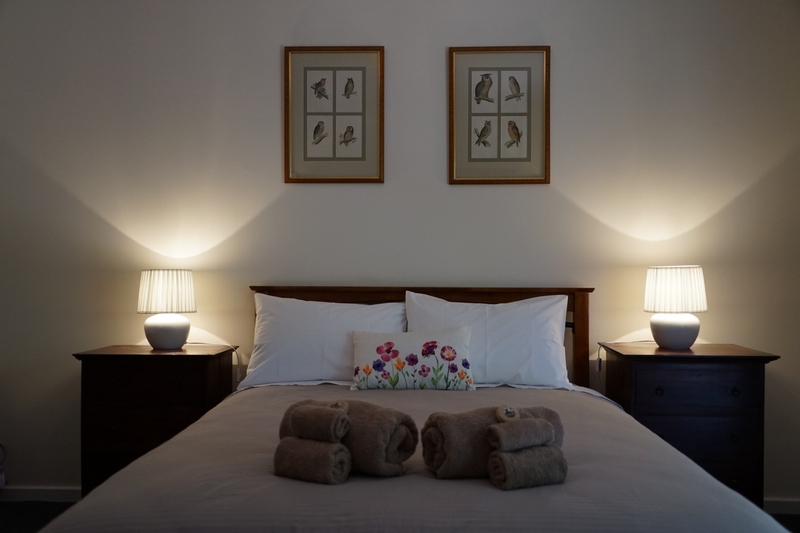 Accommodation is available for up to 6 people with exclusive use of the cottage, which includes a large log fire for cool winter nights, air-conditioning, self-catering and laundry facilities... your home away from home. 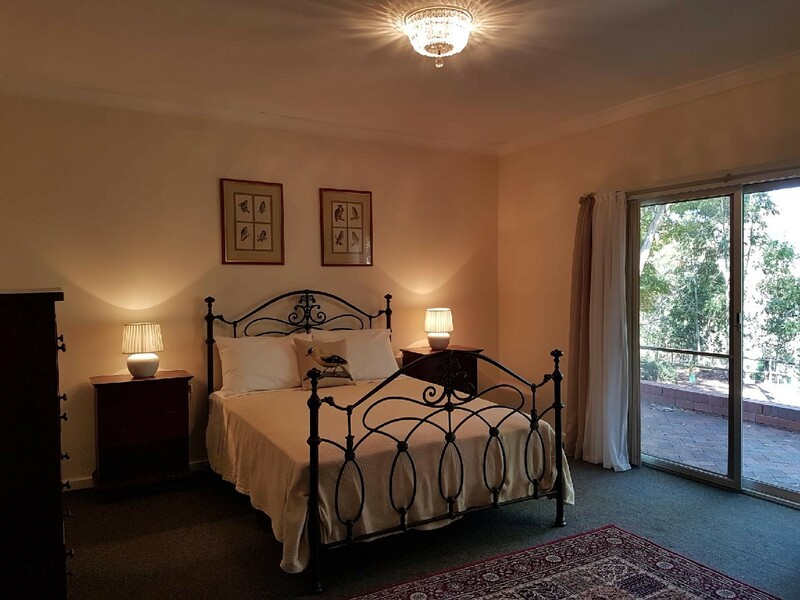 Close to Champion Lakes Regatta Centre, Araluen Botanic Park and the Bickley Valley Wine Trail. Bickley Brook Cottage is an ideal base for bush walking, mountain-biking (free bike hire is available to guests), sightseeing or for just relaxing and planning further adventures around our great state.